Frigid mornings can bring a slow start to the workday but, Aqua-Hot WORK READY heating systems have changed that. 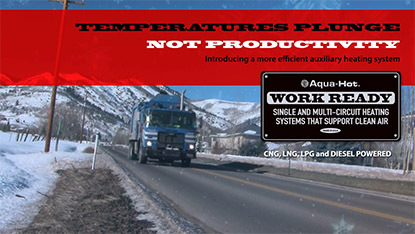 No matter what combination of fuels – CNG, LNG, LPG, Diesel – you use for your medium and heavy-duty fleet, there's an Aqua-Hot WORK READY system configurable for each truck. Even better, our factory-based application team will help you get it right. For one vehicle or a mixed fleet of medium and heavy-duty vehicles, there’s a single or multi-circuit heater that puts heat where you need it. And it’s powered from the vehicle’s fuel. A WORK READY Heater Delivers. Engine On. Engine Off. 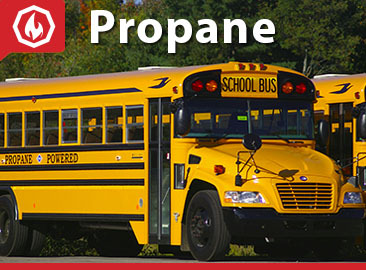 A Single-Circuit heater gets you started on time by preheating the engine, oil pan, hydraulics reservoir, natural gas fuel pressure regulator and even the driver's cabin. The Dual-Circuit heater adds another heat loop, for example, into the cargo/work box and passenger cabin. A Triple-Circuit heater allows the addition of a closed circuit potable water-heating loop. 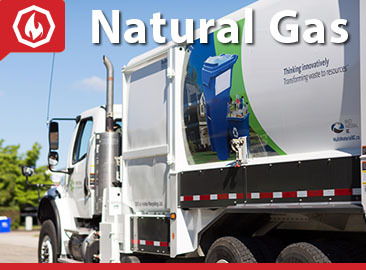 Medium and heavy-duty mixed-fuel fleets – from a CNG sidearm refuse hauler to a 20-ft field truck with a machine shop in the cargo box – can be more productive 24/7 with an Aqua-Hot WORK READY heating system. Stop Idling. Stay Warm and Ready to Work. 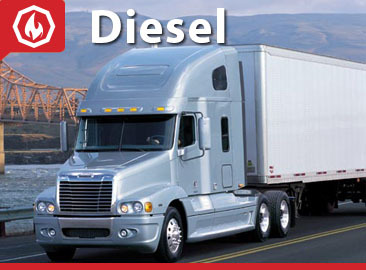 Eliminate cold-weather idling and dramatically reduce fuel consumption, oil changes and maintenance. Plus keep workers warm. Contact us at 800-685-4298 to determine the right solution for you. Interested in buying this product? Please fill out the form below and someone from our sales team will contact you soon!